Tuesday though Saturday, come in and pick up a variety of desserts offered. Our menu changes everyday so you're sure to try something new each time you visit! You can always call ahead to see if we've made your favorites. We do tend to sell out near closing time, if you would like to call and order what we have available, you can pick it up later! All of the items listed here can typically be ordered with a 24 business hours notice depending on schedule and ingredient availability. Many of these items are also available to order for large parties - yes we cater dessert! 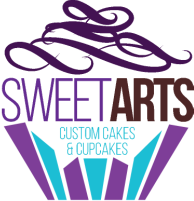 Gourmet Cupcakes - We typically offer at least 10 flavors of cupcakes that change every day. Frosted with either mousse or cream cheese frosting, they are delightfully different! We make over 50 flavor combinations and are always coming up with new ones to share! Cookies - Our famous Chip Cookies can be found here every day, unless someone buys them all up early! Ask us about Giant Chocolate Chip Cookies that can be ordered from 6" to 14"! Waffle Cakes - Order a Waffle Cake and you will be wanting more! We make 4 layer waffle cakes using our cake batter in a Belgium waffle iron and they are simply amazing! The most popular flavors include: Fruity Pebbles, Vanilla Chocolate Chip, Red Velvet, Banana, Cinnamon, Chocolate, and Strawberry. These can usually be requested in the morning and picked up in the afternoon depending on schedule. Gourmet Brownies - We specialize in making Gourmet Brownies including the popular S'mores, Twix, Snickers, Andes Mint, and Triple Fudge - Call ahead for availability. ​Ice Cream - We sell 8 flavors of Tillamook ice cream every day. Ask us to make a single waffle cake and try it with a scoop of your favorite ice cream! Cheesecake Bars - We make cheesecake in personal sized squares. 2-layer pumpkin cheesecake is offered seasonally. Call ahead for availability. Gluten Free Options - Every Friday we make a variety of gluten free cupcakes; many people rave that our gluten free cupcakes are served to their guests at parties and they don't even know they're eating gluten free! We also make gluten free chocolate chip cookies and our French Macarons are also gluten free. All of our frostings are used as the filling between cake layers or as the topping to cupcakes.